Beyoncé set the Internets, and the world, aflame with her soul-stirring, HBCU saluting performances at Coachella in 2018. So it’s only right that its creation be documented in film—and of course, it’s going to be seen on Netflix. The history of songs being named after women is both long and abundant and while most of them are rooted in puppy love feelings others are about the broken hearts left behind. 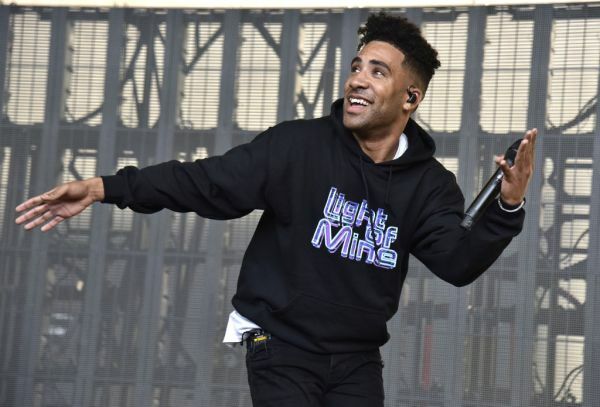 Kyle and Lil Yachty go in a somewhat different route for their duet to “Hey Julie!” in which they tell the story of high school losers turned iced out music stars who make girls that once dissed them now miss them. Isn’t that everyone’s dream? Back in Brooklyn, we witness an elementary schooler straight body Biggie’s classic instrumental with clever rhymes and an impressive flow as ShnickLife proves to be a problem for the next generation in the clip for “ShnickLife Commandments.” Hey, is that where Maino’s crown went? Check out the rest of today’s drops including work from Zacari, Eli Weese, and more. Metta World Peace is hopeful he can still help others. He is about to drop a film that details his story on he attained a sound mind after years of trauma. As spotted on Page Six the player formerly known as Ron Artest is releasing a documentary right in time for mental health awareness month. Set to air on Showtime, Quiet Storm: The Ron Artest Story will explore his history of dealing with anxiety, depression and more. The flick will archive him growing up in the treacherous Queensbridge projects during the 1980s and his thunderous but at times stormy NBA career. According to the report Ron Ron admitted to starting a crack cocaine drug career but was so scared after his first transaction he failed to pick up his payment. Years later he would thank his psychiatrist after winning the 2010 championship with the Los Angeles Lakers. A specific on-court moment that changed his life forever will also be revisited. His part in the now infamous “Malice at the Palace”, arguably the messiest basketball brawl of all time, will be examined thoroughly. John Green, the fan who threw the beer at the power forward during the Pacers vs Pistons game, also will appear in the documentary. Quiet Storm: The Ron Artest will air May 31. Malice at the Palace footage for cultural purposes below. Fans of Carhartt have been anticipating the annual sports collaboration with ’47, and this year’s collection for Major League Baseball looks to be another must-have for cap collectors. 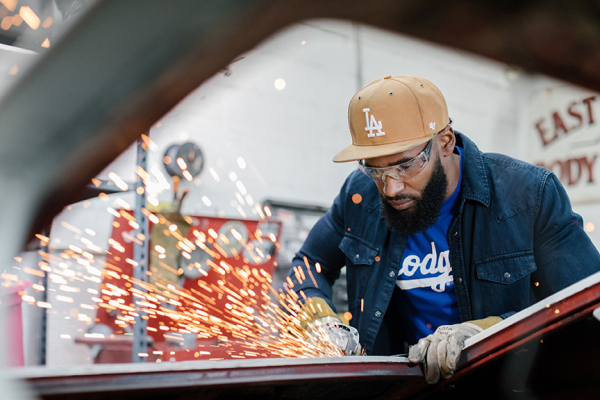 Carhartt and ’47 just dropped its brand-new OUTWORK X OUTROOT MLB hat collection to the masses. All 30 MLB teams are represented and the hats come in three styles. The ’47 CLEAN UP, ’47 MVP, and ’47 CAPTAIN hats are all clean looks that vary between a solid dark blue cap with a curved or flat brim, and the traditional Carhartt Brown colorway with both curved and flat brims. Fans who want to cop their caps today can head over to ’47’s website here. Hit the gallery below to see select images from this exciting and brand-new campaign. Days after Nipsey Hussle was killed, the nation continues to mourn his death. Over on the East Coast, Dave East organized a candlelight vigil in his honor and spoke about how the rapper, father, and humanitarian was a king in his own right. See two clips from the vigil above, plus updates on Nipsey’s alleged killer here, if you missed that. May Nipsey rest in peace and prayers to his loved ones. 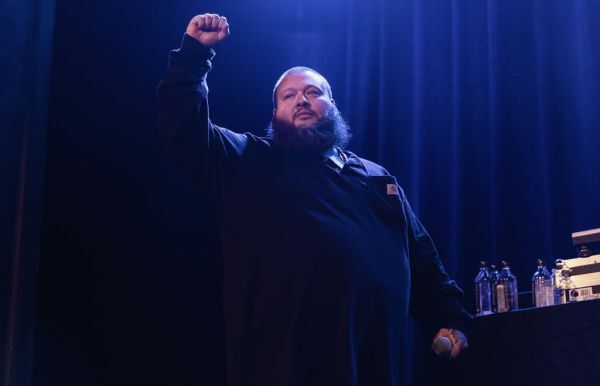 Action Bronson enjoys one of the most supportive fan bases in the Hip-Hop game, but even his most ardent supporters might admit he’s got a vocal similarity to a certain Wu-Tang Clan member. During an interview, Ghostface Killah was mentioned which caused Bronson to threaten violence. Sitting down with KFC Barstool Sports, the Queens rapper and former chef chopped it up lightly but things went crazy dark with Tony Starks was name-dropped. 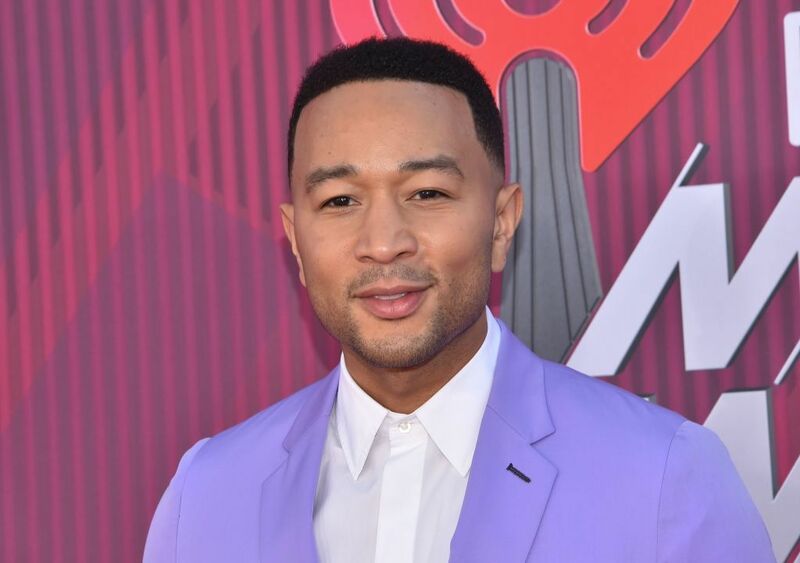 The KFC crew asked a goofy question of which musical artist would he choose to be an ambassador to greet aliens to Earth. After mentioning Prince, host Kevin Clancy mentioned Ghostface in that same role. Apparently, Bronson thinks Clancy brought up Ghostface due to their 2015 beef. Welp. That’s saying a lot. Check out that odd exchange between Action Bronson and KFC Barstool Sports below. 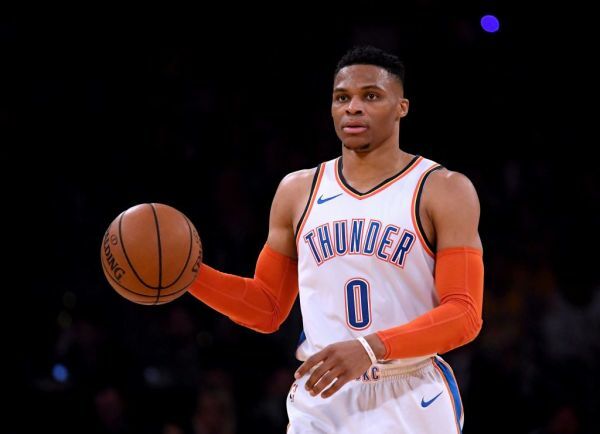 Russell Westbrook put on a performance for the ages Tuesday night (April 2) when his Oklahoma City Thunder squad took on the Los Angeles Lakers. After the game, Westbrook dedicated his all 20s triple-double to the late Nipsey Hussle. With the 119-103 win over the Lakers, Westbrook became just the second player in history to score at least 20 points, 20 boards, all while handing out 21 assists to boot. Ahead of the game, Westbrook was spotted wearing a blue sweatshirt from Nipsey’s Marathon clothing store. In the final minute of the game, Westbrook grabbed his 20th rebound and shouted out “That’s for Nipsey!” over the din of the crowd. Speaking on his 20-20-20 game with courtside reporter and former player Jason Terry, Westbrook made a knowing nod to Hussle’s Rollin 60s gang affiliation by adding up the numbers of his game. Ironically enough but perhaps not intended, some NBA fans have speculated Terry has Crip gang ties as well but it’s never been confirmed. Westbrook was obviously emotional after the game and praised Hussle for being an inspiration to him and others as a young person who grew up in the inner city. But in a presser with a throng of reporters asking questions about his connection to Hussle, Westbrook declined to answer. Twitter reactions and discussion about Russell Westbrook’s 20-20-20 game can be seen below. 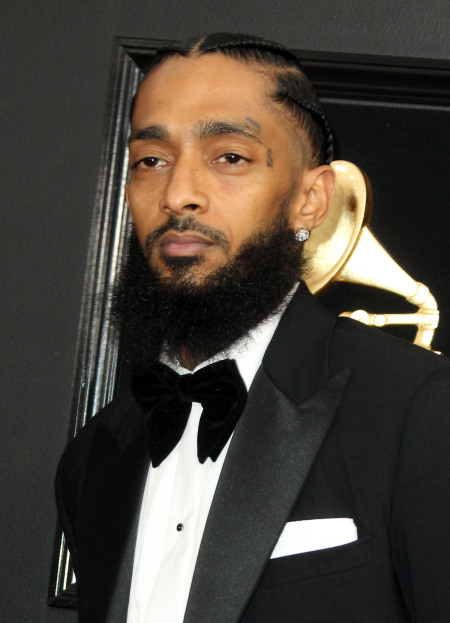 The manhunt for the chief suspect in the murder of rapper Nipsey Hussle has been caught. Eric Holder, a reported gang member, was caught Tuesday afternoon (April 2) in Los Angeles and promptly arrested. The Los Angeles County Sheriff’s Department told CBS2 that 29-year-old Eric Holder was caught by deputies sometime before 1:30 p.m. in the 9900 block of Artesia Boulevard. Los Angeles police responded to the scene and confirmed the man arrested was indeed Holder. It was not clear in the report if Holder was taken in without incident.